This entry was posted on December 5, 2018 by Mark. 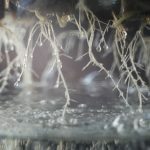 Amid all the discussions about plant nutrients, grow room environment management and propagation techniques, one essential aspect of hydroponic growing can get lost. But it shouldn’t do because the clue is in the name … hydro! Yep, it’s all about water and water quality, which, unsurprisingly, is perhaps the most important thing to consider. But what does water quality actually refer to and how is it measured? And crucially, what effect does this have on the plants we’re trying to grow? In this post, we’re going to explore those questions. When it comes to measuring water quality, electrical conductivity (EC) and pH are two of the most important metrics to consider. These two measurements give the grower an insight into the quality of the water they are using, the amount of nutrients it contains, and its ability to sustain plant growth. EC refers to the electrical conductivity of water which is a measure of the concentration of ions it contains. The two are correlated because the more ions water contains, the better conductor it is. Pure water is therefore an extremely poor conductor. It is generally considered a non-conductor. Pure water is able to conduct some electricity if a high current is applied to it, due to a very low concentration of H+and OH-ions, but electrons cannot flow through the water itself. However, when more ions are introduced into the water, EC levels increase dramatically. Seawater, for example, has an EC level approximately 1,000,000 times greater than pure water because it contains a lot of ions, particularly sodium (Na), chlorine (Cl), magnesium (Mg), sulphate (S) and calcium (Ca). Tap water contains plenty of ions too, so is a good conductor electricity. This is why it isn’t sensible to watch TV in the bath! The EC value of water is measured with an electrical conductivity meter and the units it is measured in are called siemens (s). The meter consists of two electrodes that are placed in the water and a current is passed between them. The meter can then determine how strong the current is, and therefore the concentration of ions. Check out our EC and pH meters here! So, what has all this got to do with water quality and growing? Well, in hydroponic growing, the ion concentration is the same as the concentrate of salts dissolved in water, and that gives the grower an indication of how many nutrients the water contains. In its most basic form, the higher the EC, the more nutrients there are available to support plant growth. That’s not quite the full story, however. EC is a useful and important measurement, but what it can’t tell you is which ions are present in the water and if they are useful for plant growth. Tap water, for example, contains chlorine and sodium which gives it an EC value, but neither have a nutritional value. That said, EC levels are correlated to plant health. 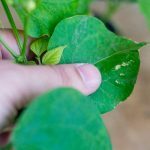 Low water EC levels results in slow growing plants that have a tendency to develop disorders such as leaf yellowing, and too high an EC level can lead to toxicity. As a result, it is generally accepted that during the vegetative growth stage, EC levels should be kept within 1.2-1.6 dS/m. However, some horticultural guides provide an upper acceptable EC levels for specific plants depending on species and growing stage. The EC level for irrigation seedlings, for example, should not be higher than 0.75 dS/m. pH is a measure of the acidity or alkalinity of water. It is measure on a scale of 0-14 with pure water having a pH value of 7. Anything less than this is considered acidic – the lower the pH number, the more acidic – and anything higher than 7 is considered alkaline. Alkalinity increases as the number goes up. pH is actually a measure of the concentration of free hydrogen (H+) ions and hydroxyl (OH-) ions in water, or any other solution. Water that contains more hydrogen ions is acidic and water which is alkaline contains more hydroxyl ions. pH is an important metric for growers to consider because it has a significant influence on nutrient uptake in plants. Essentially, if the water you are using to grow your plants in falls outside of a fairly narrow band, the plants will not be able to absorb nutrients even if they are there. That band is pH 5.6-6.2, which is slightly acidic. If the pH is allowed to increase beyond 6.2, the absorption of phosphorus, iron, manganese, boron, zinc and copper is reduced. If it sinks below 5.6, calcium and magnesium become unavailable. Therefore, ensuring your water is kept within this range is essentially for a health crop. To do this it must be regularly monitored using an accurate and reliable pH meter. Ensuring the quality of your water is sufficient for good plant growth and health is never ending task for hydroponic growers. It requires regular monitoring with accurate equipment, and a robust plan should EC or pH slip beyond certain ranges. But the rewards for keeping a close eye on water quality should speak for themselves – healthy crops producing bountiful yields. If you want to ensure your water quality is where it should be, take a look at our range of EC and pH meters, and if you need any further advice, don’t hesitate to drop us a line! LEDs – lighting the way to stable grow room temperatures!